(From Wikipedia) Merit badges are awards earned by youth members of the Boy Scouts of America (BSA), based on activities within the area of study by completing a list of periodically updated requirements. The award of a merit badge is represented by circular patch with an image representing the badge’s topic. As I was a Boy Scout when in America at the age of 12, I had earned a couple of these badges, I forget what the topic was but probably camping and swimming or something like that. My purpose of bringing this up is something the Lord impressed me with just yesterday. Recently, I had a cancerous growth “Markel Cell Carcinoma” on my right arm. After a season of prayer and a more full understanding of how to pray for such things, the growth began to shrink to the point where it no longer exists. I had blood tests and the effects of this cancerous growth no longer exist in my system. However, there is still a small circular red mark which is completely smooth but red, left on my arm from the cancer. As I was meditating on this and asking the Lord about this, I was impressed with the thought, it is your merit badge of faith in healing. Wow, I like that very much and I now look at it with honor, Thank you Father. There are two major players in the game of life; one is the God of Creation and the forming of man on the earth: The other is Satan, the deceiver. There is the big “G” God and the little ”g” god. The big “G” God of Creation is the one who has created everything in the natural, the universe we live in, the fruit that we eat and the ground that we walk on. He is the one who, when He had created and formed everything that He had done, He looked at it and called it “good”. He is the God who gives us life and all things “good”. There is another god out there who is a deceiver and a liar and a thief, he has come to steal, kill and destroy everything that is good. It is he who wants to corrupt everything good and calls good, bad and calls bad, good. It is he who is a liar and a thief. It is he who wants you to follow him to his fiery end. This god with a little g is the one who leads you to believe that if it feels good, do it. 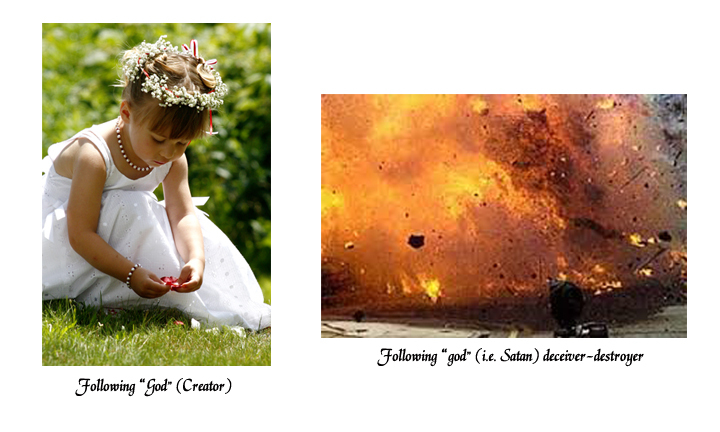 It is that little g god who changes the laws of the Creator God. Leviticus 20:13 If a man lies with a male as he lies with a woman, both of them have committed an abomination. We are living in the “End Times”. Heaven – Where is it? From Wikipedia: Burj Khalifa, known as Burj Dubai before its inauguration, is a megatall skyscraper in Dubai, United Arab Emirates. It is the tallest artificial structure in the world, standing at 829.8 m.
I have to say that by the world’s standards, they have made a name for themselves. Again, by the “World’s Standards” it is an impressive building and its top is in the heavens but, what have they really achieved? What the mind of man can conceive and believe, he can achieve. I wonder if they really believe that they have become like gods. 1John 5:5 Who is he who overcomes the world, but he who believes that Jesus is the Son of God? I am on a quest to find answers to my question; Heaven, where is it? Is it a place somewhere in the vast expanse of the universe or is it a state of mind or is it another dimension right here and now? I am searching and the Word tells me that if I search, I will find. Stay tuned for more on this.